It's as if the lake is poised and waiting for the sunbathers, sailboaters, and swimmers. Memorial Day weekend is the traditional beginning of the summer season and the time when everyone's thoughts turn to the beach. We have one of the best, here in St Joseph. It was bare of beach goers this morning but then it is just Friday and many are still at work waiting for the weekend to begin. The weather forecast is for a very hot weekend (temps near or above 90 all three days) but the lake water is still quite cold (upper 50s). 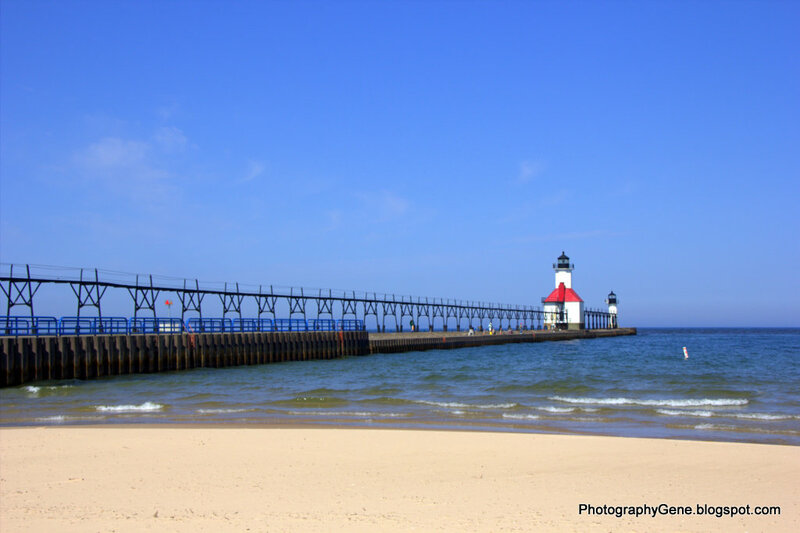 Whether you are a beach lover or not, there is plenty happening in St Joseph this weekend. 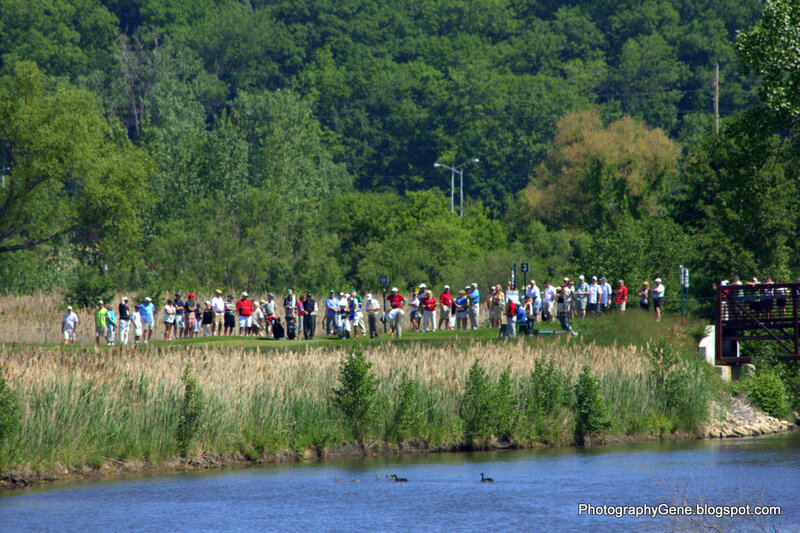 The Senior PGA Championship is being held at Harbor Shores this weekend. The community has been abuzz about this event for months now. Yesterday was the first of the four days of the tournament. The picture above was taken this morning showing the leader board after yesterday's rounds. The golfers were at it again today with much more pleasant weather (very windy yesterday). The course is said to be quite challenging in the best of conditions. It was just beautiful out there this morning when I was taking pictures. The towns of Benton Harbor and St Joseph have been preparing for months for this event. There is ample parking, lots of restaurants and shops waiting for patrons, and a welcoming smile around every corner. There are signs welcoming the PGA participants and spectators all throughout town. 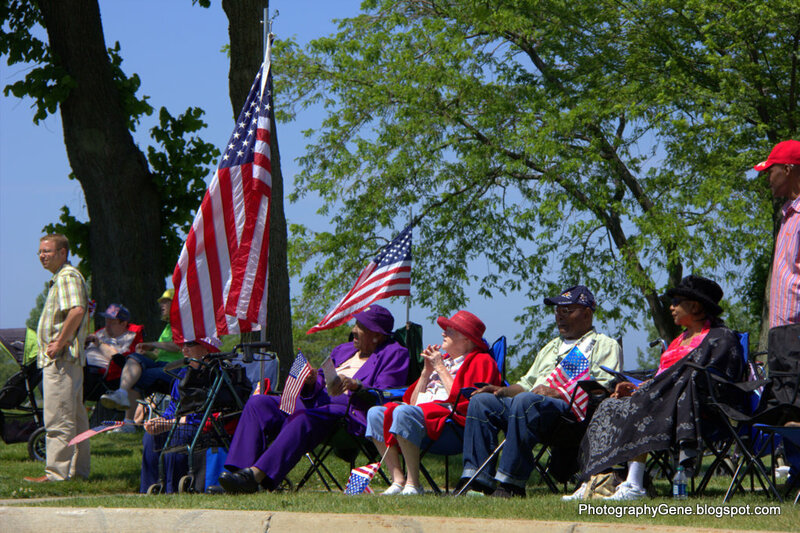 And because it is also Memorial Day weekend, the town has donned its red, white, and blue, for the holiday. 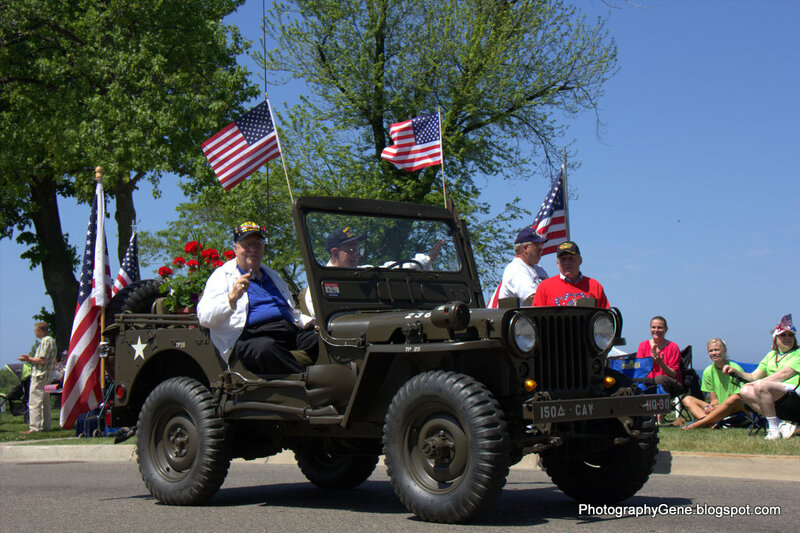 The was a parade at noon today honoring our nation's heroes, the veterans. There were several military vehicles in the parade which were quite popular with those watching. 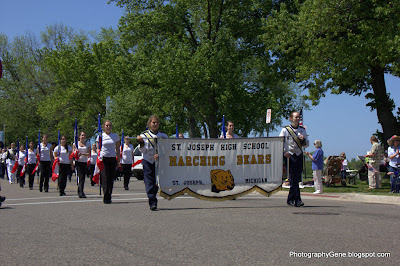 You might think, from this picture, that seniors were the only ones enjoying the parade. But you'd be quite wrong. People of all ages were standing along the parade route. Oh, and there's nothing quite like the patriotic sounds of a marching band! It really helped create the ambiance of the parade. And to top it all off, there were a few floats with very pretty girls on them! It's been a picture-perfect day so far and a great beginning to the holiday weekend. What are you doing this weekend? 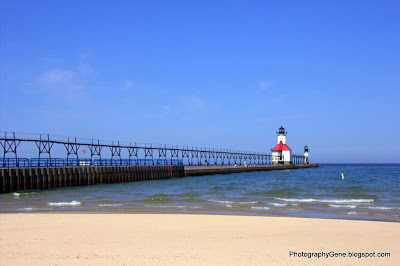 You should head on over to St Joseph and enjoy the beaches, the PGA golf tournament, the shops and restaurants, the Children's Museum and carousel, the fountain, the Krasl Art Center, the Arts District in Benton Harbor, unbeatable Lake Michigan sunsets, and so much more! Come visit us and enjoy our charming brick-lined streets, horse drawn carriage rides, and picturesque parks. St Joseph is ready and waiting for you!